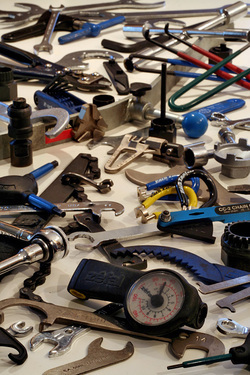 We'd like to host a Bicycle Maintenance Class on Tuesday's from 7-8:30PM. These classes will be designed for those interested in becoming proficient in bicycle repair and will cover all the basics over the course of a couple months. For those committed to volunteering at least four hours a month in the shop, classes will be free. Stay posted for more details.